There seems to be some sort of confusion about all the items stated in the rules here and on the NVIDIA site. #1 Sorry, but YES it is only US and CANADA only. THIS CONTEST IS VOID WHERE RESTRICTED OR PROHIBITED BY LAW. OPEN TO LEGAL RESIDENTS OF THE UNITED STATES OF AMERICA (EXCLUDING PUERTO RICO AND ITS OTHER TERRITORIES AND POSSESSIONS) AND CANADA (EXCLUDING QUEBEC). #2 You are NOT making the case mod; a Pro Modder will be making the case mod. 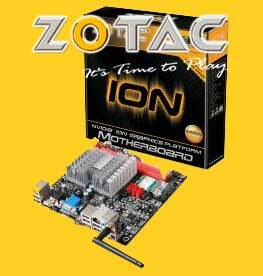 #3 You suggest an idea on how you would like a case modded for the ZOTAC ION Board. A description about your idea and an image MUST be included in your idea post. Plain and simple ...No image, no description, no valid entry. #4 You can submit as many ideas as you like BUT only 1 (one) will be chosen to make it in to the top 30. #5 Like type case mods submitted will be judged on their own merits. #6 The $500 limit is set to show that a cool looking PC can be made with very little money and that it is used to MAKE the case. #8 From the top 30 ideas 5 (Five) will be picked for the Pro Modders to build. The top 30 ideas win a one year subscription to CPU Magazine! #9 The case mods that the Pro Modders make will compete against each other and a winner will be picked from the 5 (five) case mods. #10 The Pro modded case that is picked as the best is the winner and the person who created the idea for the modded case will receive the case that was made by the Pro Modder. #11 The cases that come in 2nd,3rd,4th, and 5th are kept by the modders (that is their prize for participating). The people who suggested the ideas on which the case mods where made from will win some great prizes which include a ZOTAC ION ITX 230 motherboard, Sims 3 PC edition, and 1400 Battle Funds to spend in Battlefield Heroes! 5 professional case modders have each been tasked with building a revolutionary ION-based PC based on YOUR ideas. They will receive a ZOTAC ION ITX 330 motherboard containing an NVIDIA ION GPU and an Intel Atom dual-core CPU, along with $500 to secure additional PC components. They will have 60 days to create the final builds, which should reflect the key features of ION; small, low-power PCs with surprisingly powerful graphics. -Submit a description and image of your dream PC to enter. If your idea is selected, you win! -Grand prize winner wins their dream PC built by a professional modder! -4 semi-finalists win a ZOTAC ION ITX 230 motherboard, Sims 3 PC edition, and 1400 Battle Funds to spend in Battlefield Heroes! Top 30 ideas win a one year subscription to CPU Magazine! These items DO NOT count as part of the build cost!